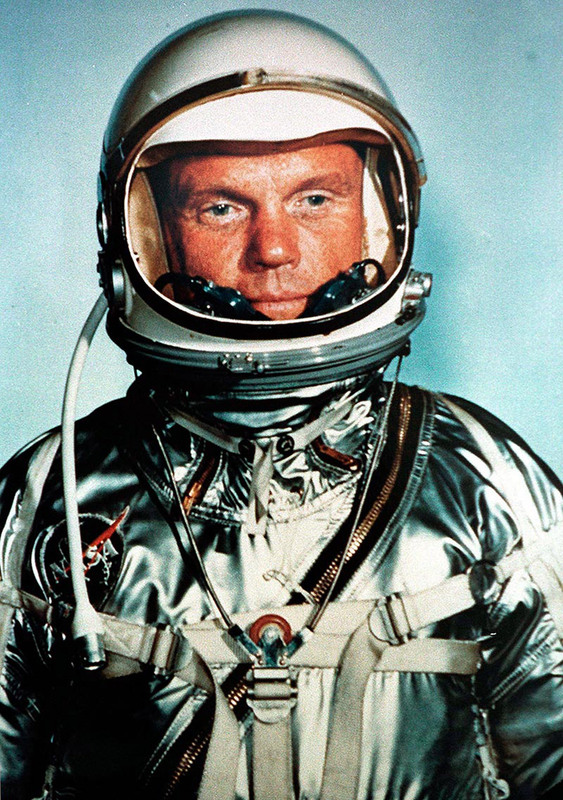 Senator John H. Glenn, 76, the world's oldest astronaut during an October 1962 mission on Discovery, was the first American to orbit the Earth 36-years-ago. FILE PHOTO FEB 1962 – Senator John H. Glenn is shown in a file photo Feburary 1962. Glenn, 76, who will be the world’s oldest astronaut during an October mission on Discovery, was the first American to orbit the Earth 36-years-ago.